This is by far some of the best kicks that’s out there! Smart investment to get this soundset, a lot of good samples! Exactly how you expect modern, professionally produced samples to sound like! Team Arcana really have pulled out an awesome set of kicks here, great work guys! Absolutely loving the new Arcana Sounds Progressive & Tek Loops! Easily the cream of the crop when it comes to the competition! Sometimes less is more – that's the idea behind our new Mini Sample Pack series focused on specific genres and sample types. 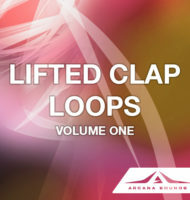 We continue with Lifted Claps Loops Pack 1 offering you 40 claps loops at 138 bpm. Perfect snappy, sustained claps for your uplifting trance bangers! The pack contains both standard 44khz 24bit & 88khz 24bit HD versions of samples; please listen to the audio demo for previewing some of them. sometimes less is more – that’s the idea behind our new Mini Sample Pack series focused on specific genres and sample types. 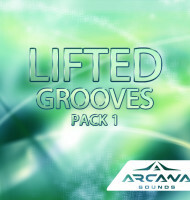 We start with Lifted Grooves Pack 1 offering you 21 percussive loops at 138 bpm. Perfect for your uplifting trance bangers! 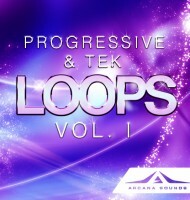 Our Progressive & Tek Loops pack contains 200+professionally produced (from scratch) loops, which are ready to use in a sampler supporting PCM WAV files. Within the pack you will find a wide range of percussion loops ready to drop straight into your projects – we have also included over ’100 Off Beat Helpers’ and ’177 One Shot Samples’ which were used in the creation of the loops. As an extra bonus we also included ’10 Clap Loops’.